Although several studies have developed methods and rules to reduce the use of pediatric CT scans, only the 2009 PECARN study has been validated. The PECARN prediction rules identify children that are at low-risk for a clinically important traumatic brain injury and do not need to be scanned. Rules apply if the patient presents within 24 hrs of the traumatic event and has a Glasgow Coma Scale score of >14. For patients meeting all clinical criteria, the negative predictive value for clinically-important TBI is minimal (below). For those who do not meet all six criteria, the decision to scan is recommended, but ultimately should be based on the clinical judgment. loss of consciousness < 5 sec. Brenner, David J., Hall, Eric J. Computed Tomography – An Increasing Source of Radiation Exposure. N Engl J Med. 2007;357: 2277-84. Kuppermann, Nathan, et al. Identification of children at very low risk of clinically-important brain injuries after head trauma: a prospective cohort study. For the Pediatric Emergency Care Applied Research Network (PECARN). Lancet. 2009; 374: 1160-70. 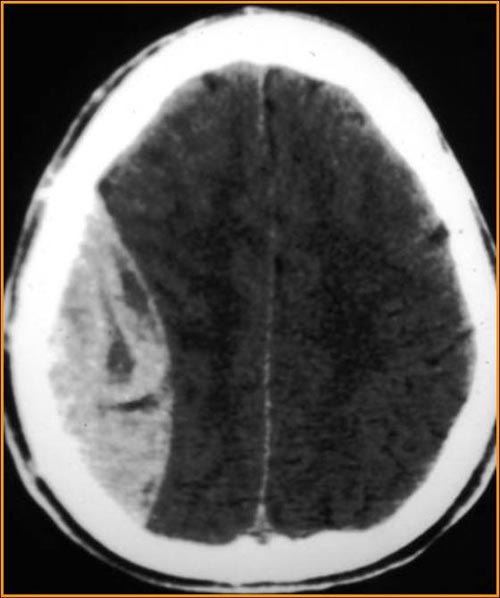 Osmond, Martin H, et al., CATCH: a clinical decision tool for the use of computed tomography in children with minor head injury. CMAJ. 2010; 182: 341-348.